AZ. ESSENTIAL STANDARD ONE OBJECTIVE: Demonstrate mental and physical attributes required to communicate characters different from themselves. MATERIAL REQUIRED: pencils, handout of stage diagram, handout of 'Theatrical Logic"
1. Explain that stage directions arc direction given from the actor's point of view. that was used in earlier centuries. Explain that the stage is usually broken into nine different areas. Down stage, Upstage, Center, Up right, Up left, Right, Left, Down right. Down left. 1. Apply to the actor as he/she faces the audience. 2. 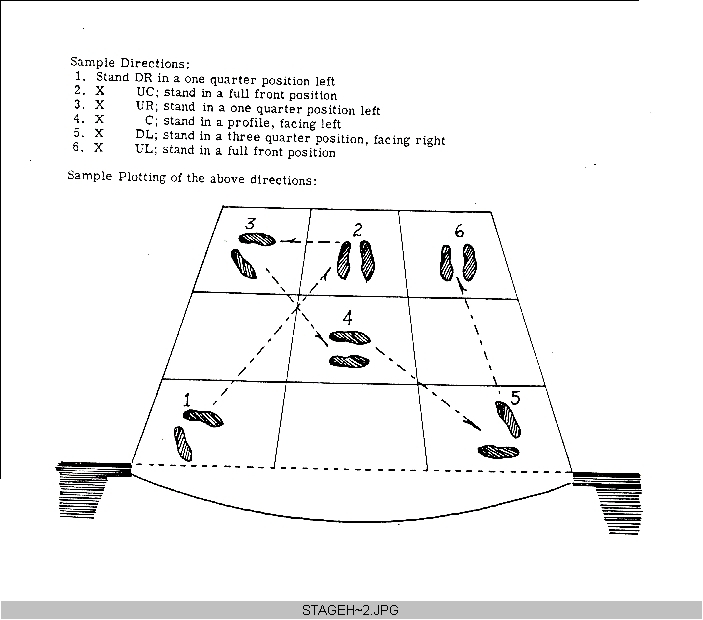 There are five basic positions. used when two actor's "share" a scene. It allows the audience to see them easily. the downstage foot turned toward the audience. b. Full Front: The actor faces directly front. This is used to deliver important lines. so they may "take" the scene. 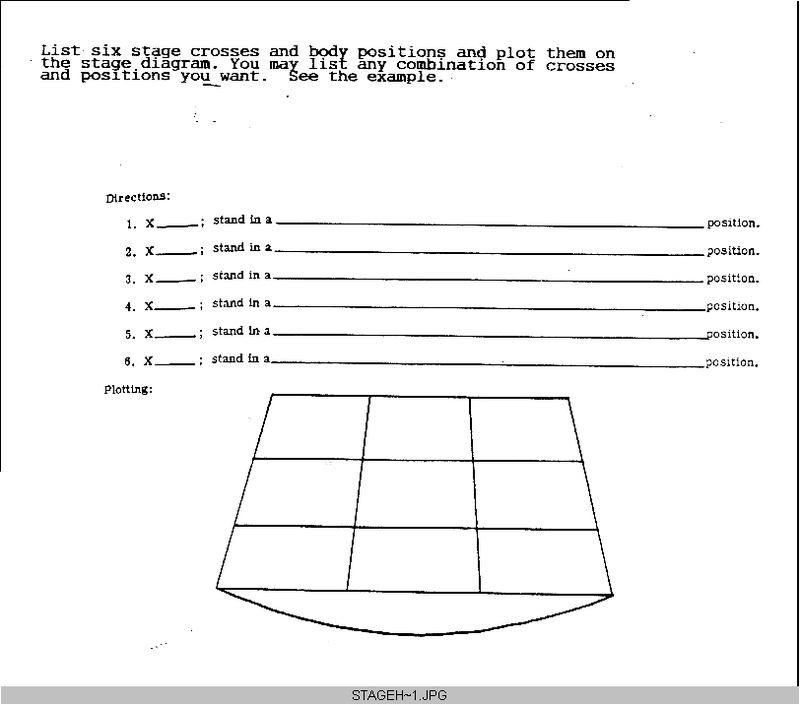 D. Stage directions and body positions worksheet. they will end up in when they reach that area. body position they are going to do. 4. They do this six times. 5. They will have to present their plots to the class when they are done. Why is it important to understand stage directions? Why are the body positions important? Were students able to present their stage crosses correctly? Did the other students see and recognize the Stage area and the body position? Right is left, and left is right. A block and fall does neither. A cove has no water. A gridiron has nothing to do with football.